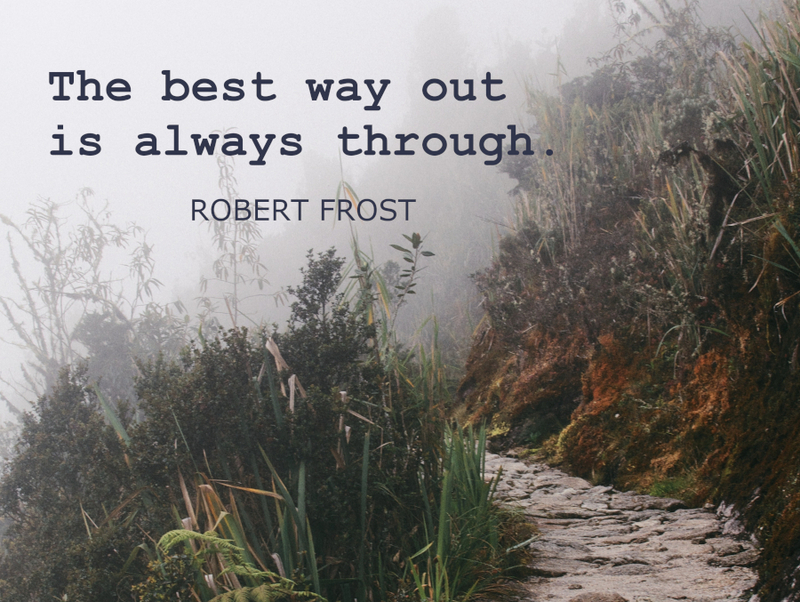 Robert Frost once said, “The best way out is always through.” This is so true about life’s transitions. The only way to grow in life’s transitions is to move through them. Transitions and change are facts of life. When life closes a door, change is inevitable. This can be a good thing. Transitions force us to make a move or a decision. They force us to flex muscles we may never have known we had and to move on to something new and different. However, we must work and maneuver our way through what may seem like negative and fearful times before coming out to a positive outcome on the other side. We work through transitions in different ways. When facing an expected or unexpected change, we often question our beliefs and capabilities, and we may second-guess our decisions. Fear can become a barrier to positive change. Below are some ideas and coping strategies that many people have found helpful when dealing with change and life’s transitions. Everyone is unique, so this is not a one-size-fits-all list. Hopefully, you will find some of these ideas to be helpful. Accepting the change can help propel you through a transition. A surefire way to make change more difficult for yourself is to fight it. But hanging on to the past when faced with change can prolong the adjustment and transition period and can cause us more pain. Socrates once said, “The secret of change is to focus all of your energy, not on fighting the old, but rather on building the new.” Rather than hanging on and looking back to what you are leaving behind, facing and accepting that your life is changing is an important step in transition. While this may sound easy, this first step can be the most difficult. It’s important to find time for reflection. Whether it’s writing/journaling, talking to a therapist or a trusted friend, or taking long walks on your own, it’s very important during a period of change to stop and allow yourself to feel what’s going on inside of you. Sometimes you will find that you feel differently about your transition from day to day, and that is perfectly normal. Try to reflect and just be where you are – right at this very moment. Sometimes we resist transition because it has more to do with our sense of self than the external change. As we move through our changing life, it may mean giving up our old pattern of living or our old way of thinking. We may find ourselves in unknown territory. William Bridges, author of Transitions: Making Sense of Life’s Changes, calls this place “the neutral zone.” We can become overwhelmed and confused because of our need to know exactly how, when and where our life is going. You may find yourself in a place of limbo—a place where you may not have anything to hold onto. It may seem like nothing is happening, but this is where questioning, growth, learning, formation, courage, creativity and risk-taking begins. Similar to the caterpillar turning into a chrysalis before emerging as a butterfly, this period of living with the unknown is a vital step in your healthy transition. In a period of transition, you may feel less productive in your daily life. It may be helpful to the extent possible, to limit additional changes in your life. Shift your attitude by reminding yourself that this is a time of reorienting and redefining yourself. Be gentle with yourself and give yourself time to heal and move through the transition. Support systems can be helpful and important while working through transition. It is helpful to process change with others and sound out ideas and decisions. The support system can be friends, family, church families, a therapist, or a support group. Depending on the type of transition and change you are working through, there are times when it is tempting to get bogged down with the details and intricacies of what is happening right at the moment. It may be helpful to ask yourself, “What is the outcome that I want?” For instance, as I work through visitation with my ex for my children, do I want to dig into the particulars of a situation, or focus on the harmonious co-parenting relationship I am trying to build? The same goes for transitioning into a new position or career. Try to focus on the relationships you are trying to build and the outcomes you want, rather than the trivia of today’s events. You have the power to change your perspective and your focus. I read a great quote by an unknown source which reads, “Good decisions come from experience, and experience comes from bad decisions.” I think this is a comforting quote. There are times as you move through change and transition that the fear of making the wrong decision can freeze you from making any decision whatsoever. You can take the pressure off of yourself if you believe that there are no wrong decisions. Rather than labeling your experiences as “good” or “bad,” think of each experience as the exact experience you need to have at that moment in your life. Some choices may lead to more painful lessons than others, but living life in fear is no way to live. Change and transition provide an opportunity for tremendous growth, and for trying out new ideas and new versions of ourselves. Expected and unexpected change is not always a bright and cheery, yellow brick road, but a major transition in your life can be a great adventure. At Insight Counseling Centers, our caring counselors welcome the opportunity to walk with you as you take your journey through life’s transitions. Barbara Tamkin, MMFT, sees clients at Insight Counseling Centers’ offices in Madison, Hendersonville, and Nashville. 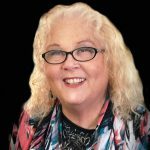 Barbara has specialized training in emotionally focused therapy. She loves meeting people at whatever point they are on in life’s journey and walking with them to a place of more hope and healing.